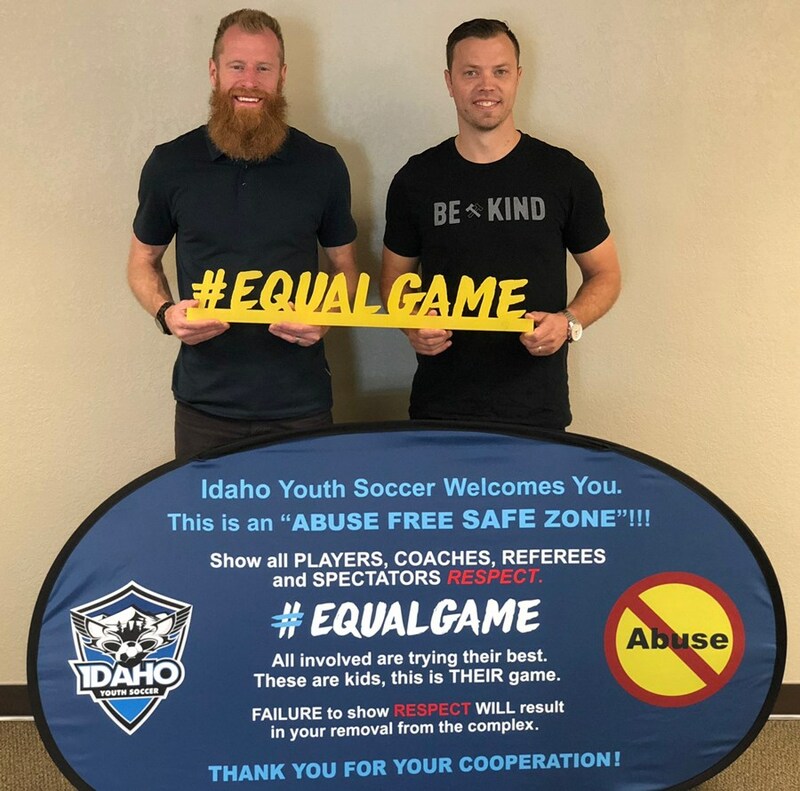 Idaho Youth Soccer has partnered with UEFA to bring #EqualGame to Idaho. #EqualGame is designed to spread the positive spirit of inclusion and amplify a clear and uplifting message about the benefits that soccer brings to the community. This new campaign aims to bring the soccer community closer together, while also ensuring that values such as inclusion, gender equality, and the fight against discrimination remain at the forefront of Idaho Youth Soccer vision and beliefs. PROMOTE RESPECT, INCLUSION, COMMUNITY: THE GAME ITSELF TRANSCENDS BARRIERS OF ETHNICITY, AGE, GENDER, ABILITIES, SEXUAL ORIENTATION, AND RELIGIOUS BELIEFS. SO CAN WE.